First and foremost many apologies for my absence. I’ve been trying to get settled these past few weeks. I’ve also been working 9 hour shifts in front of a computer which leaves little to no desire to be in front of any computer screen during my off time. Although I’ve been away from typing, I’ve been diligently jotting down ideas and writing blog drafts periodically. but I was drawn to this particular all white one. 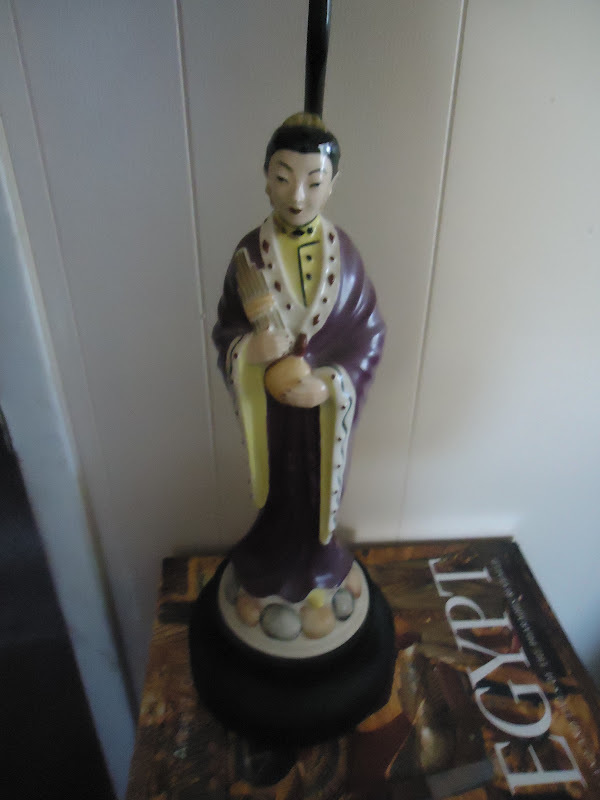 Since my house is mostly Asian themed, I thought this statue would fit in perfectly. For many months I never really put too much thought into the statue. It was actually gathering dust in a corner for sometime. All the while this seemingly unknown statue was sitting around, I was actually reading and researching Kuan Yin. Perhaps the most interesting thing was that I would alway associate my staute with Kuan Yin while reading about her. At one point I even thought about using this “unkown” statue to represent Kuan Yin since she appealed so much to me during my readings. Then one day while surfing images of Kuan Yin I realized it was her all along! It was truly a very interesting coincidence that her energy was around me the whole time. She is simply beautiful and I try to meditate with her every chance I get. There are many variations of KuanYin. For example some are depicted with a variety of symbols such as dragons, seashells and gestures, each depicting her versatile powers. 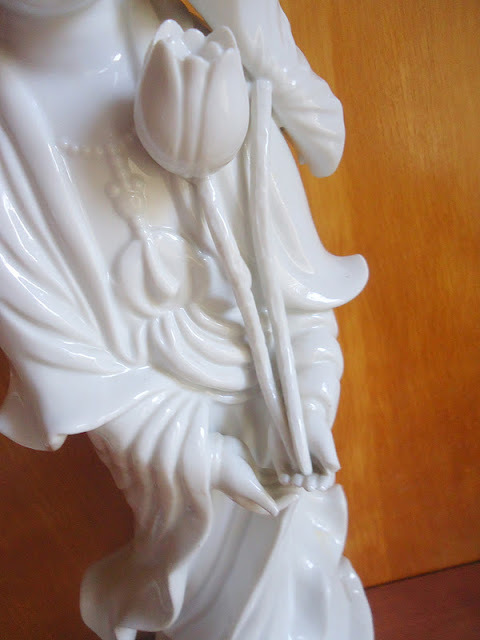 My Kuan Yin has several lotuses at her feet and one lotus growing from the palm of her hand. When I see her she reminds me of peace and tranquility. Her flowing gown reminds me of the passing times which have been quick and swift, constantly reminding me to enjoy every moment. The lotus growing out of her hand kind of tells me that anything can grow out of nowhere, especially from within. 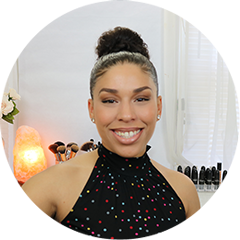 I’m glad I’ve come across her and will share with you the many ways I interact with Kuan Yin and the many ways her energy can benefit you.